Suitable for competitions. Traditional stitching. Inlaids in PU. Aqua latex 4 mm. Back in latex 4 mm. Wrist stabilization system. Roll finger technology. The Aqua Zero 15 goalkeeper gloves have been specifically designed to be used in the most difficult weather conditions. When it rains and the terrain is wet, the ball can easily slip from your hands and your opponents, therefore, have greater chances to score. With these gloves, however, you shall easily save the ball even under the pouring rain, thanks to the special latex we used, which has been specially conceived for the worst weather conditions. Thanks to the latex used to construct the gloves' palms, water absorption is reduced and the gloves remain lightweight and functional. In addition, the "Roll Over" technology used provides enhanced protection when diving. Even the material inserted between the fingers is water repellent, it is however breathable so as to allow heat and sweat to be wicked away, keeping your hands dry at all times. To remind you that these gloves have been specifically created for rainy days and for wet terrains, we chose to make them in special colour shades of light and dark blue. Just like for other models, here too we have inserted wrist-cuffs with double gummed wrist strips for easy closure and opening. The new design also features latex on the backhand of the glove, which is anti-abrasive to optimise clearance punches. Finally, the gloves may be customised thanks to the special window-opening on the wrist. 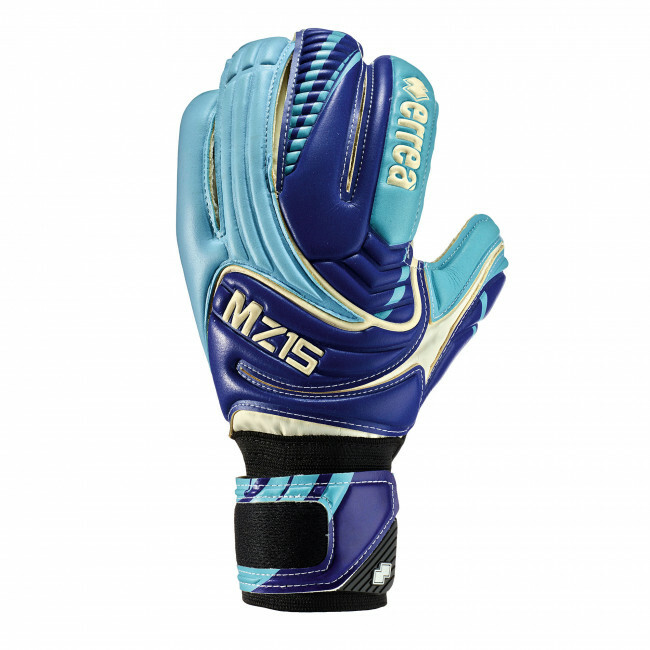 The Aqua Zero 15 goalkeeper gloves are particularly suitable for wet and artificial terrains.